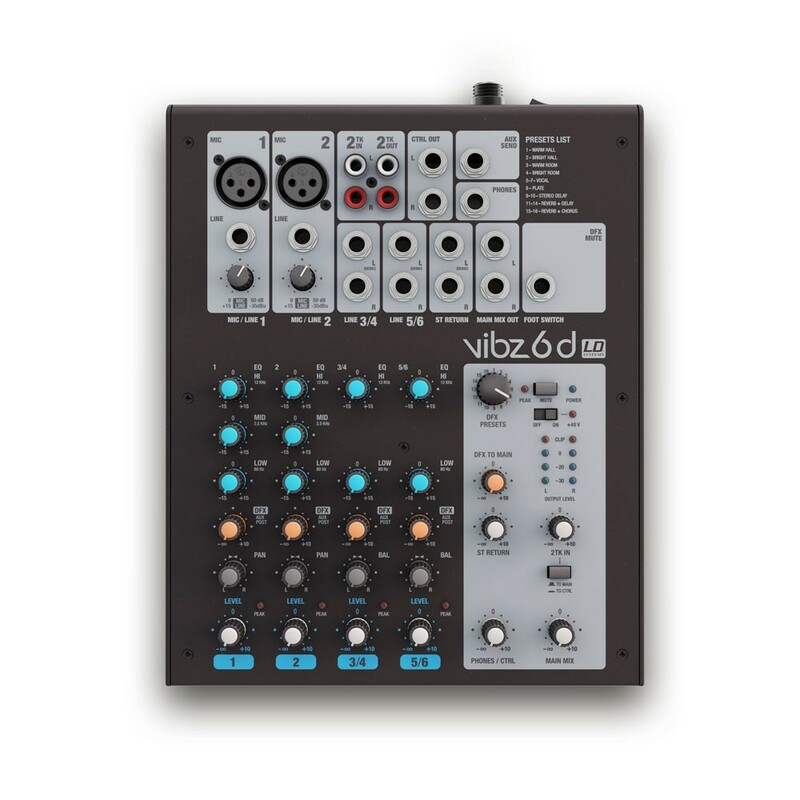 The VIBZ 6 is a compact 6-channel mixer which is perfectly suited to entertainers, small bands, home recording and installations. 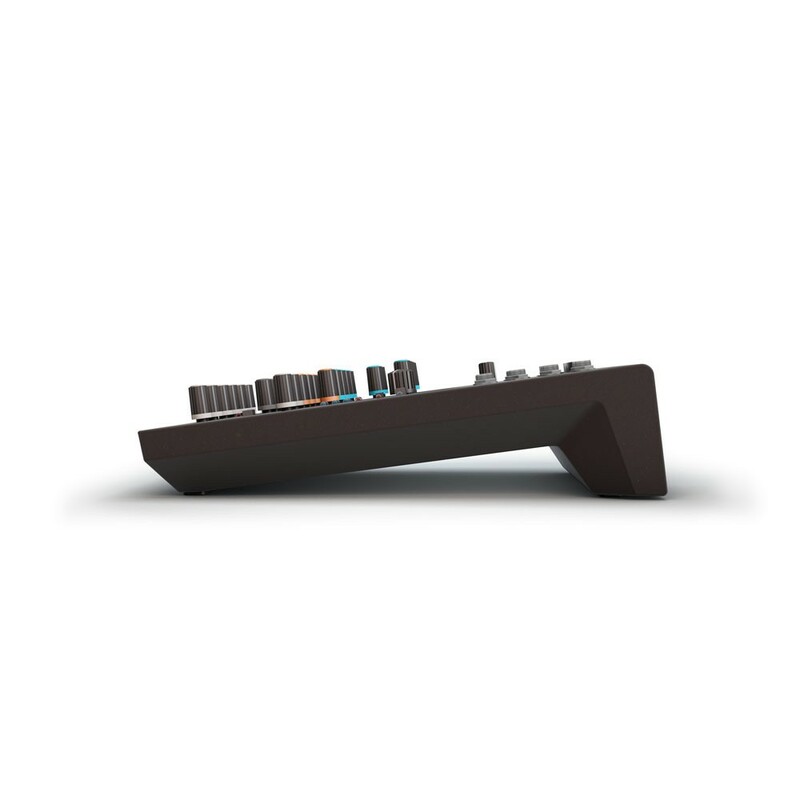 It features two balanced microphone inputs with high quality preamps, phantom power and 3-band EQ with +/-15 dB adjustment scope, two stereo line inputs with 2-band EQ, which are mono-compatible, and an effects loop. 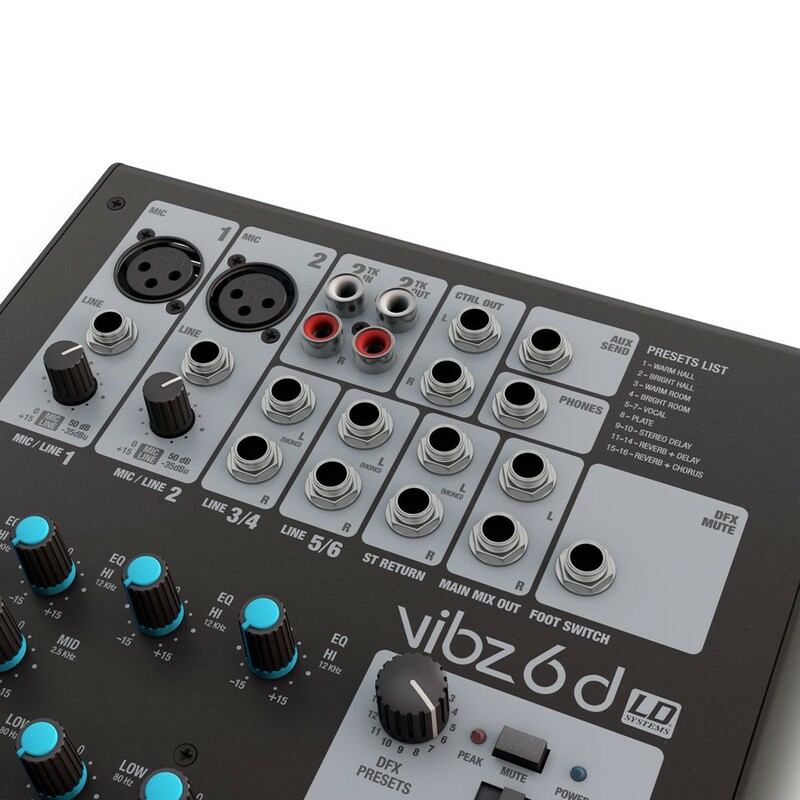 The master section of the VIBZ 6 is equipped with adjustable monitor outputs, a headphone jack and 16 digital effects presets, which are foot-switchable. 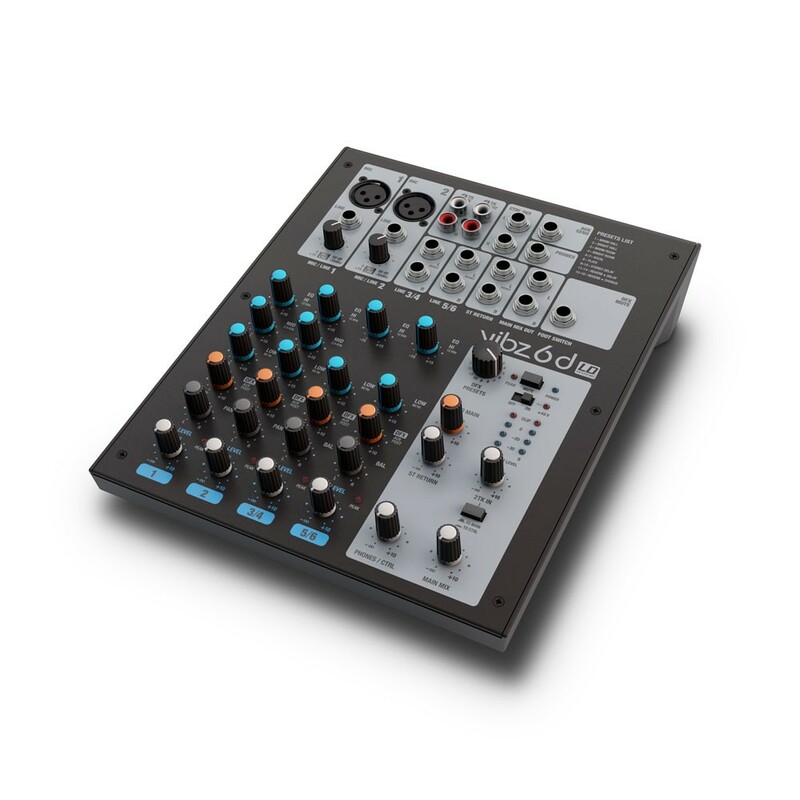 The mixer also has inputs and outputs for recording and playback devices, is extremely easy to use and offers a warm differentiated sound. 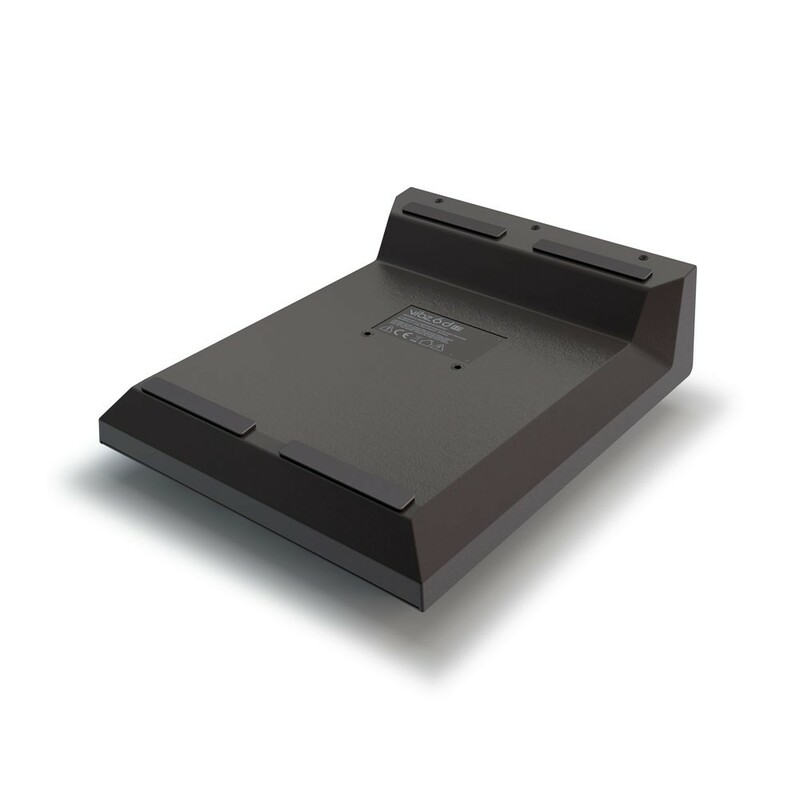 The external power supply can be screwed on tightly. 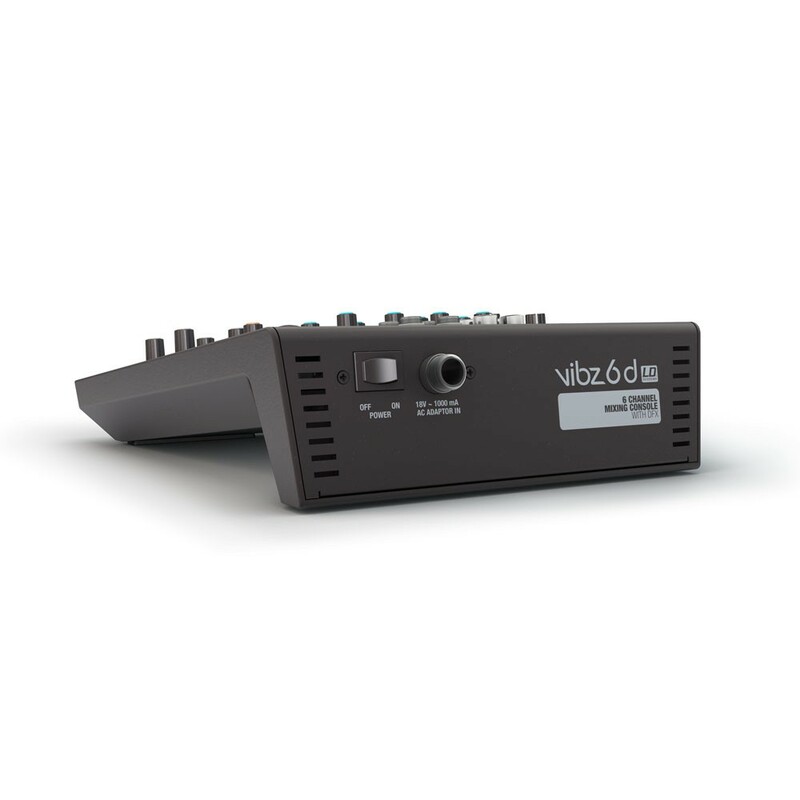 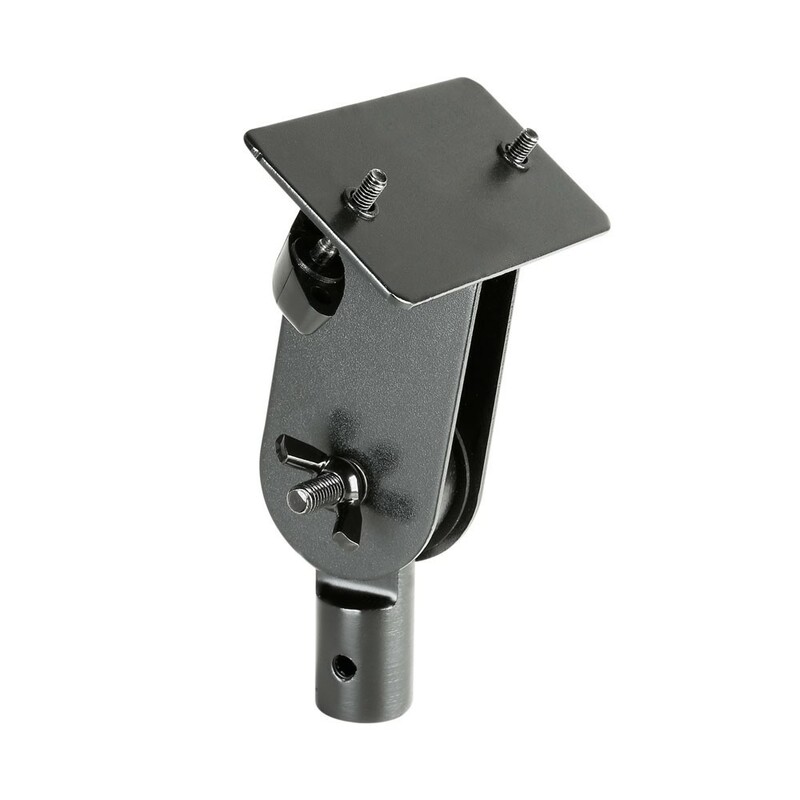 A foot switch for the effects section and an adapter for mounting the VIBZ 6 on microphone stands are available as accessories.